John Gilmore is the Executive Director of the Autism Action Network, a national, not-profit, grassroots advocacy organization that influences legislation and public policy on a wide range of issues impacting the autism community. 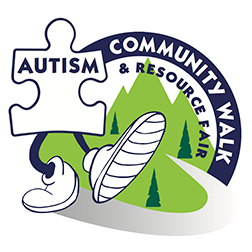 The Autism Action Network works at the state, federal and occasionally the local level to positively influence the lives of people with autism, their families and communities. The Autism Action Network is active in all 50 states and has taken action on thousands of bills across the US. In New York, key legislation Mr. Gilmore has worked on include introducing and passing a bill in 2005 that outlawed the use of mercury in vaccines given to children under three and pregnant women, passing a bill in 2006 that outlawed health insurance discrimination against people with autism, obtaining a veto of a bill that would have made autism health insurance reform impossible in 2010, and finally passing autism health insurance reform in 2011. During 2106 Autism Action Network was instrumental in protecting religious exemptions in New York schools, and pressuring the New York Regents to eliminate passing Regents Exams as a requirement to earn a high school diploma. Mr. Gilmore coordinated walks for Autism United in 2007 and 2008. Mr. Gilmore has a Master’s Degree in Public Policy from the Graduate School of Public Policy at UC Berkeley. He lives in Long Beach, NY with his wife, Jennifer, and two teenage sons. His son Luke is diagnosed with autism. Michael Smith is a loving father of two wonderful children, one of whom has autism. He is the executive director of The Foundation for Autism Information and Research, a 501(c)(3) nonprofit organization that creates and distributes video interviews with a wide-range of autism experts. He is also the legislative director for the Autism Action Network. Michael has spent the past 12 years as an advocate for people with autism and other disabilities, influencing, authoring and opposing various legislation and policies that affect families living with autism and related disorders. Michael was the co-author of the New York autism insurance legislation that was signed into law in 2011. Michael has been invited to testify before the NYS Senate and NYS Assembly on autism related issues on numerous occasions. He has also been invited by OPWDD commissioner, and Assembly and Senate Mental Health Chairs to testify on many occasions. Michael is a Medicaid broker for Self Direction/CSS. He is a graduate of NY State Partners in Policymaking. He served on the board of the Albany Autism Society, OPWDD Capital District Family Support Services Council and started the Capital Region Autism Biomedical Support Group. He has a degree in Business Marketing. Mr. Smith has presented to the NYS Occupational Therapy Association, Autism conferences and other organizations on legislative advocacy. Michael worked with his town to create its first municipal summer autism recreation program in New York state. 2018 Republican nominee for New York State Governor. Massachusetts State Senator and 2018 Candidate for United States Congress. Research Director of the MIND Institute. Executive Board - New Jersey Autism Think Tank. Somewhere in between being an advocate, a parent, writing legislation and interviewing autism experts Michael enjoys playing guitar, hiking the Adirondacks, cooking, fishing, vegetable gardening, and spending time with family and friends. Somewhere in between being an advocate, a parent, writing legislation and doing on interviewing autism experts Michael enjoys playing guitar, hiking the Adirondacks, cooking, fishing, vegetable gardening, and spending time with family and friends.